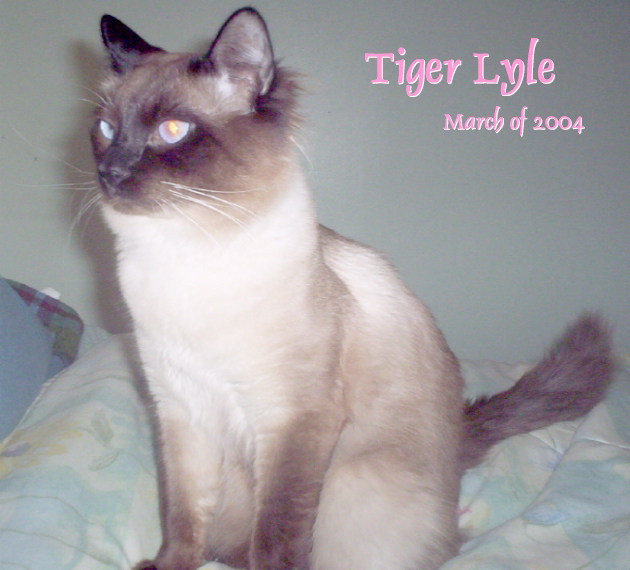 Tiger Lyle, from Chivalry Cattery, is the most affectionate, gentle, sweetheart of a cat. 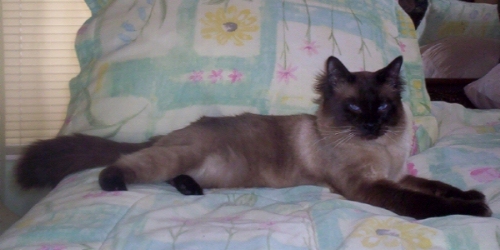 He has the deepest blue eyes, a medium length coat of fur typical of the Traditional Balinese, and amazing color points. 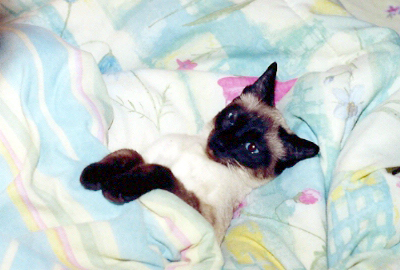 He’s nicknamed the “Cuddle Bunny”, and for good reason! Everyone who meets our little guy (he’s not exactly little either!) falls instantly in love with him. 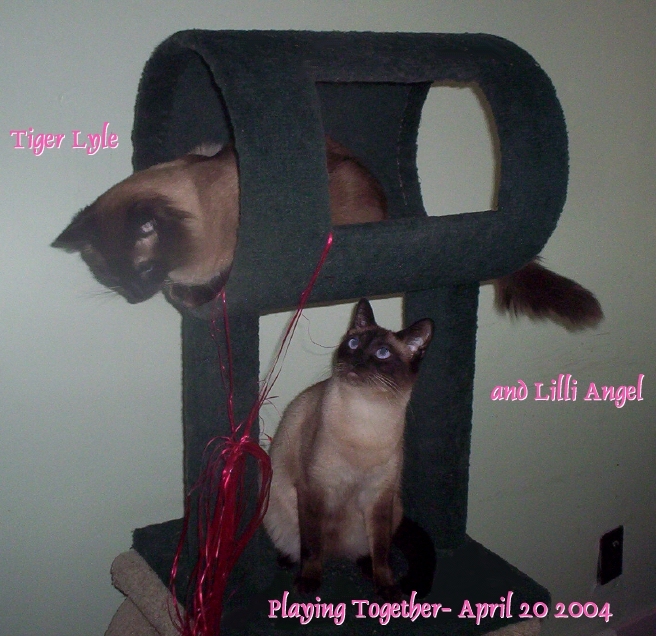 We hope, and strive to make sure, that all our kittens have the same wonderful temperament and beauty the Tiger Lyle possesses. 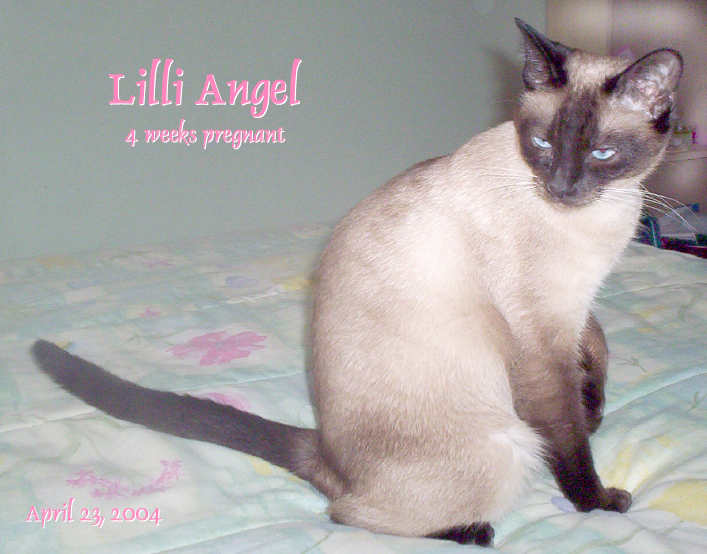 Lilli Angel from Blessed Be Cattery, is a wonderful mother, who constantly nurtures and cares for her babies. When she’s not pregnant or nursing, she’s incredibly playful and fun. 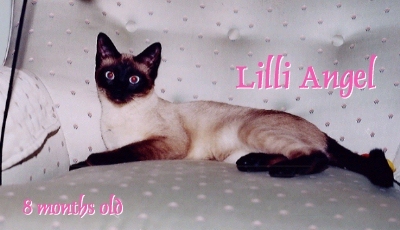 She’s such a sweetheart, as well, but in a different way then Tiger Lyle. She prefers to have things be her own idea. There’s nothing like having our little “lil’Angel curl up in my lap and sleep. We couldn’t ask for a more perfect mommy.